Each Tuesday for the rest of the year, we'll feature a "Two For Tuesday" sale. This means that here on the Skeese Greets Blog, whatever card you see featured for that Tuesday, you can purchase it online and get a second one of the same design for free. 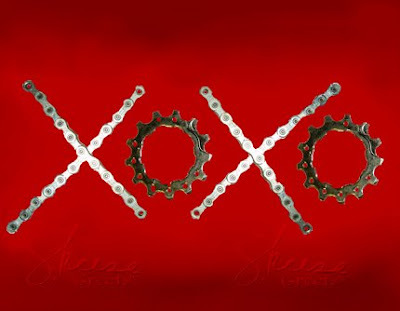 Today's featured card is "XOXO." You must purchase it online by 11:59PM CST today (August 4, 2009) to receive the free card. It is available on the main Skeese Greets website and on the Skeese Etsy.com store.